Nominated for 9 Emmys and 2 Golden Globes, Scrubs premiered in Fall 2001 to moderate fanfare and a respectable Nielsen rating of #34. 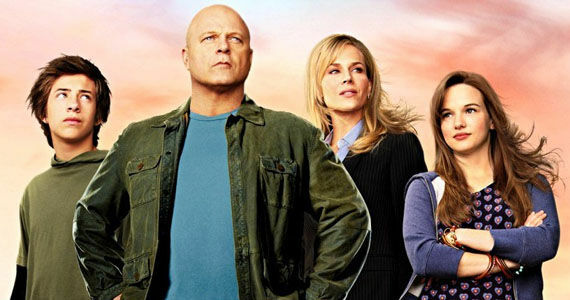 And although the series has yet to achieve blockbuster ratings, it has managed to build a loyal fan base devoted to its unique brand of humor and quirky characters. Created by Bill Lawrence (creator of Spin City), Scrubs is a spoof on the dearth of hospital dramas that have cropped up since ER popularized the genre. In a sense, it’s what Grey’s Anatomy would be like if Ben Stiller were the lead character. Filmed in a real life hospital (North Hollywood Medical Center), Scrubs follows the bungling day-to-day experiences of medical intern Dr. John “J.D.” Dorian (Zach Braff). Along with his college buddy Dr. Christopher Turk (Donald Faison), the two newcomers must learn the ropes of daily life in an actual hospital setting. But Sacred Heart, their new stomping ground, is the epitome of a dysfunctional work environment. One might easily believe that everyone’s job is to dump on J.D. 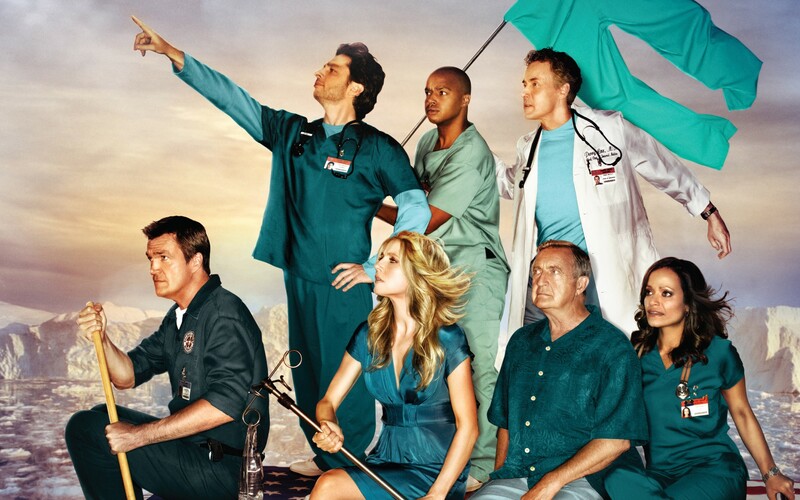 In getting his feet wet, the young intern butts heads with numerous characters such as fellow intern and potential love interest Dr. Elliot Reid (Sarah Chalke), cranky Chief of Medicine Dr. Bob Kelso (Ken Jenkins), the ever-abrasive Dr. Perry Cox (John C. McGinley), pessimistic nurse Carla Espinosa (Judy Reyes), and a sarcastic janitor (Neil Flynn). Scrubs is a character-driven show that’s exceptionally well-written, and the acting is superb. John C. McGinley is fantastic in the role of Dr. Cox, a performance almost as memorable as his portrayal of consultant Bob Slydell in Office Space. His delivery is almost as perfect as that of Ken Jenkins who often resembles Lloyd Bridges from Airplane with his uncanny ability to deliver ridiculous one-liners with a straight face. Veteran talents Sarah Chalke (Becky from Roseanne) and Donald Faison (Murray from Clueless) round out an excellent supporting cast for Zach Braff who makes his mark with this very likeable character. In the end, Scrubs is a situation comedy built on the strength of biting sarcasm and clever humor. 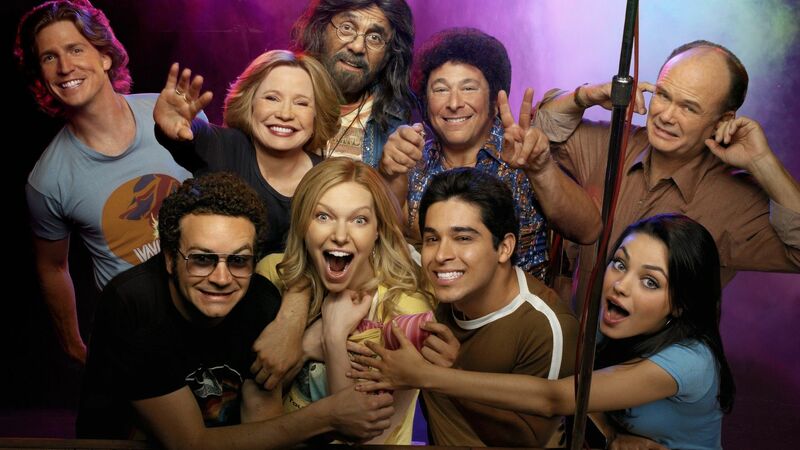 And although it’s already enjoyed a successful five-year run, it’s probably one of the most underappreciated comedies on network TV. If you haven’t yet seen it, do yourself a favor and check it out. You won’t be disappointed.